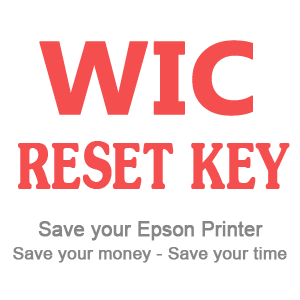 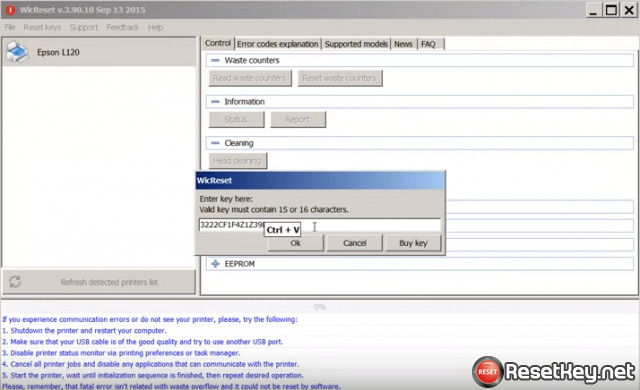 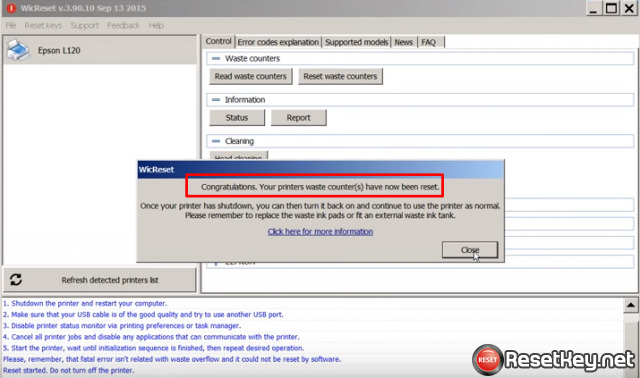 * Download wicreset tool then unzip before reset printer. 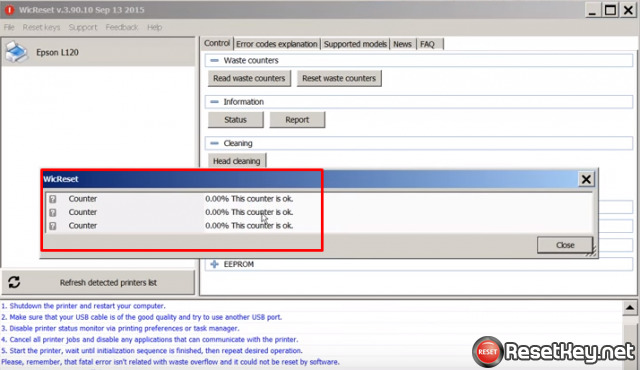 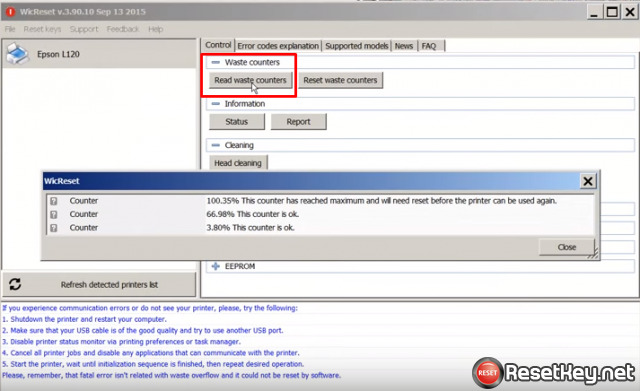 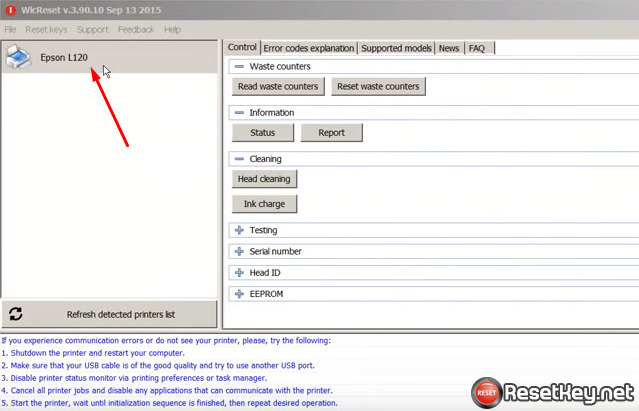 Warning: Ideally, you should clean or replace the waste pad after reset Epson waste ink counter. 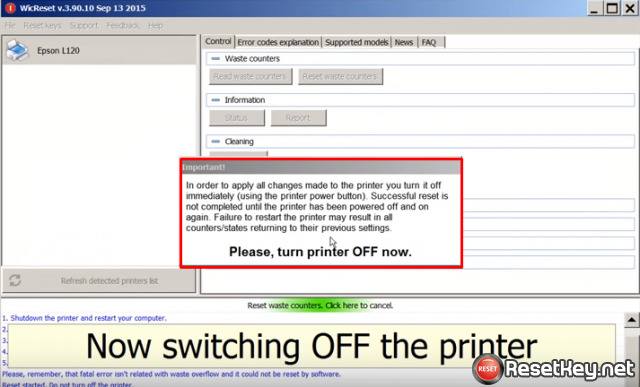 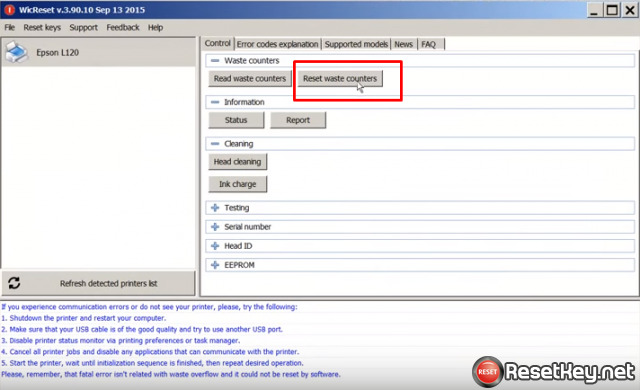 Try to clean or replace the waste ink pad as soon as possible to avoid overflow of ink and any possible damage to your Epson printer (Read more: How to deal with Epson Waste Ink Pad Overflow problem).